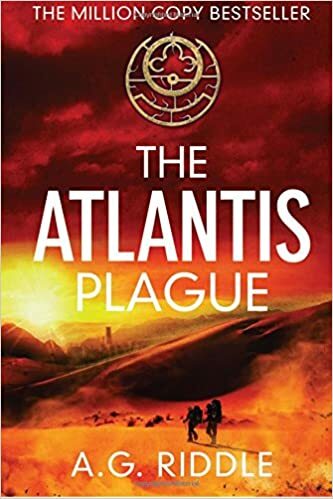 The Atlantis Plague is the second book in The Origin Mystery, the blockbuster trilogy that has sold a million copies in the US, is being translated into eighteen languages, and is in development to be a major motion picture. "The human race must remain as one. All other roads lead to ruin." "Evolution is inevitable. Only fools fight fate." THE ATLANTIS PLAGUE is a story of human survival and perseverance in the face of extinction. This global adventure takes readers back into the world of The Origin Mystery, which began with A.G. Riddle's debut sci-fi thriller, THE ATLANTIS GENE. THE ATLANTIS PLAGUE delivers the same kind of little-known science and history readers applauded in THE ATLANTIS GENE and deepens the core mystery many can't stop talking about. The series is currently in development at CBS Films to be a major motion picture.